Did you see who’s still alive in the newspaper article about halfway through the video? 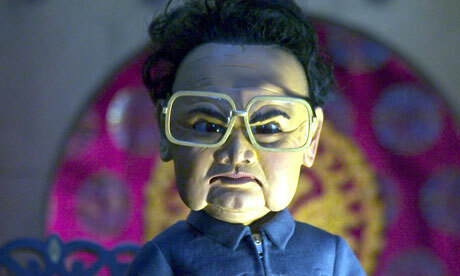 Kim Jong-il, who died about a year and a half ago in December, 2011. I think he was best known for his Academy Award-winning performance in Team America. I read this article on SQ and found it very interesting, thought it might be something for you. The article is called Tensions Mount After North Korea Destroys Asiaand is located athttps://www.slightlyqualified.com/tensions-mount-after-north-korea-destroys-asia.